Unlike curls waves are something that you just virtually cannot mess up. 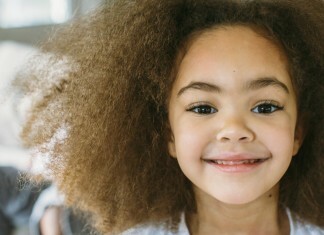 It is an effortless and natural texture. When you think about wavy hair you probably imagine the ultimate beach babe with long blonde locs. But waves can also be glam and there are so many styles and variations you can do with it! You can use the old school way to get waves by braiding or plaiting your hair and taking it down. You can also use tools like crimpers if you need them right then and there. Hair can totally be wavy naturally. To enhance your natural waves apply a light holding mousse or gel to avoid crunchy hair. Wavy hair has the ability to give you fun and carefree but a put together look. 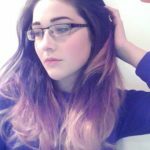 So if you want to know how to get wavy hair and how to make your hair wavy, we have put together a list of our top 25 stunning wavy hairstyles. Here we have a beautiful middle part style and one of the most elegant long wavy hairstyles. These layers are long with different shades of blonde and a dark root. This look reminds us of a victoria secrets show. If you want to feel like a top model and look your best definitely try out this exotic style. How gorgeous are these chocolate brown waves? We love how this look is kept neutral. Brown is often best paired with earth tone colors like orange, red, pink, green and brown. It is all about adding under tones to create different depths in your hair. 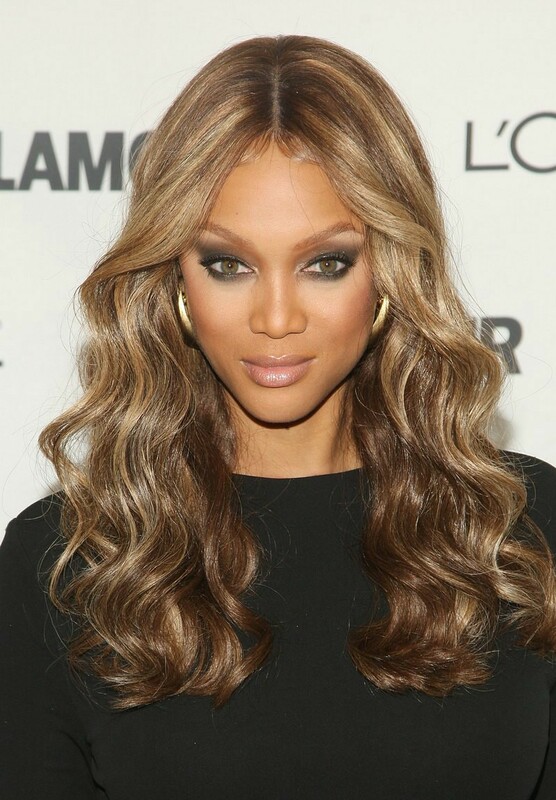 Tyra Banks is known for her fabulous lace front wigs. This wig is no different we love these long honey waves. Her makeup totally compliments her hair and she looks fierce. Tyra is proud rock what she calls a ” 5 head” and she looks amazing doing it. Lady Gaga is known for her outrageous hair and outfits. Surprisingly this is normal for her. If you are into big hair then this Gaga style is definitely for you. She is not afraid of being herself and showing her personality so if you’re bold then any trend that Gaga sets can be used as inspiration to you. Are you into emo styles? Put a twist on the typical and try this pumpkin colored orange. This color will go great on with women pale skin tones. We are loving this beautiful triangle cut. This is a style that you would see in a high fashion magazine. If you want a short do that has a high fashion twist then give this look a try. This may not be the perfect style for everyone but if you have an artistic soul you could totally rock this. We love this twist on the typical undercut. 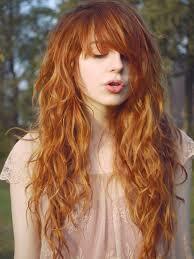 We love the fiery red color mixed with blonde. The waves create a bold bang which can be dressed up or dressed down. Undercut have became widely popular and we love seeing all the amazing styles that are being created with them. Short cuts are definitely in. Going for a more elegant look? Give this look a go. It is a modestly short cut that is perfect for women with heart-shaped faces. The red lipstick really played up the elegant look. Bowl cuts are so in. We love this short bowl cut that is complete with a thick bold bang, layers, and light waves that add tons of volume to the look. On of the classics wavy bob hairstyles. We are so loving this wavy bob. This bob is cut right below the chin and is highlighted with black and brown tones. This is perfect for any occasion. We are use to seeing the traditional styled bob so it is great to see texture being incorporated into an other wise sleek style. If you’re into darker and more punk looks then give these tousled waves a go. These waves look very careless and natural with a messy middle part. Pair with your blackest eyeliner and mascara. Sometimes it is best to go care free. Styles like this are great for the woman on the go. 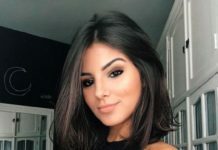 We are loving this short and wavy style for the simple girl. It has an earth tone with mixes of browns and blondes. The bang makes this look a cross between boho and chic. Pair with a chic and dainty headband or better yet create one with recycled items around your home. This is a great way to not only be creative but also help out the environment. If you’re lookig for pretty natural haircuts for thick wavy hair, this is the one for you! Add just a touch of texture to any style with these barely-there waves. 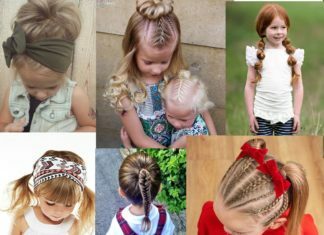 This style adds a touch of fun by adding a dainty braid to the crown area. Adding a dainty braid adds a glam but also can transition this into a relaxed and laid back look. This shoulder-length cut is simple and glamorous. 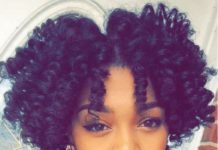 This is a mixture of curls and waves which gives this a beautiful texture. 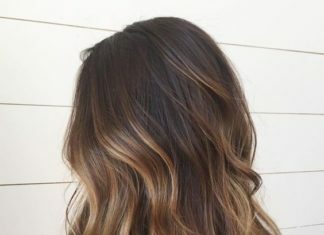 We love the simple ombre tones but you of course can add pop of color or even do a color blocking method on this style. We are used to seeing Taylor swift in longer hairstyles. It was great seeing her switch up her style with this shoulder length wavy style. The bangs and bold red lip go perfectly with this blue and gold ensemble. Her style is always elegant so this would of course be great for black tie events. It is great to see Beyonce not totally glammed up. 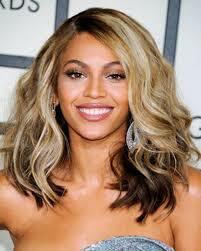 We loved this wavy brown and blonde angled bob. Can you believe she was shooting a secret music video and nobody knew? She is use to rocking her longer locs but we love the short look on her. She has amazing facial structure and this styles sharpness really bring that out. We are loving the fall inspired tones of this look. This cut is angled a tad bit at the back nape area which gives it shape. It is completed with a bold bang and soft waves. If you’re looking for the perfect go to look for fall then this should definitely be in consideration. This style is easy to do for girls who are at an awkward stage with their hair length. All you do is plat your hair to get these loose waves and simple pin a piece behind your ears. Glam it up with your favorite hair clip. 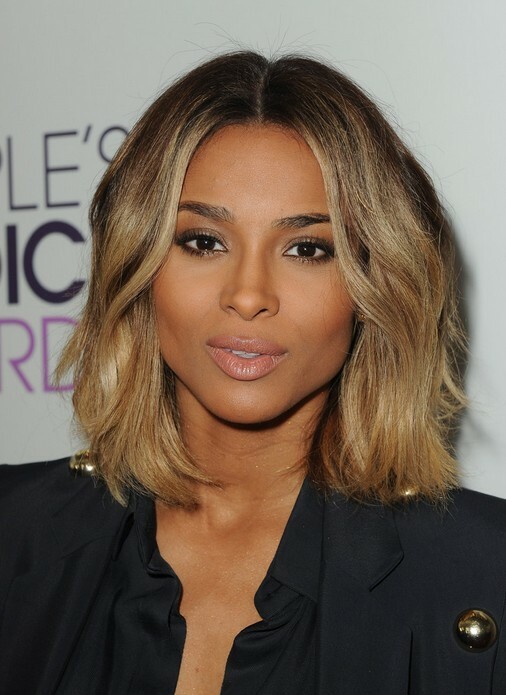 Ciara has an amazing bone structure and she really knows how to pull it off. We were totally in love when she stepped out with the super full wavy cut. This style really brings out her features and her natural beauty. We love how she always keeps her makeup light and fresh which is a great change from seeing super dark and glammed makeup all of the time. Christina Milian is definitely giving us old school vibes with this hair do. 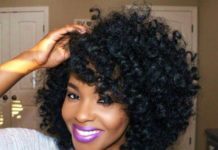 She is rocking this short sandy brown wavy style. What sets off the whole look is her vintage looking leather jacket. We all know that the old school styles are making a comeback and we aren’t mad about it either. It is great to see fashion and beauty make a comeback in a different way. This is one of the best hairstyles for thick wavy hair. Kelly Osborne is known for setting trends. We love how she did this half curly and half wavy look. Can we take a moment for this beautiful lavender color? This is an old but still relevant style. 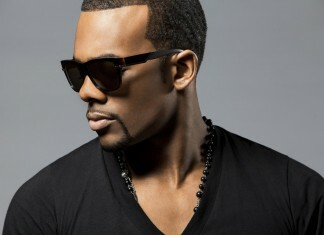 This hump style was very popular in the early 2000s. Fashion always repeats itself and we are not mad about this trend. If you want a fun but dressy look then give this look a go. 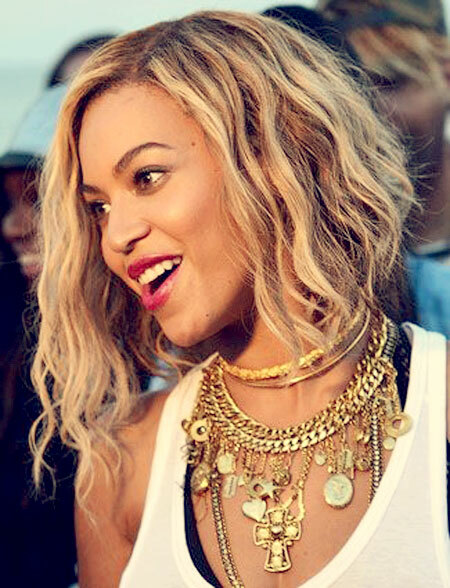 Beyonce looks gorgeous in this two-tone wavy cut. We love how she paired this with a neutral look and statement jewelry. This style is simple but yet looks so elegant. If you want a fuller look then give this style a try it is good for any woman. This style reminds us of a 50s glam Hollywood look. Honestly, nothing looks better on a red carpet than an old Hollywood look. We love this softer side of Miley Cyrus. She really knows how to give us different sides of her personality. 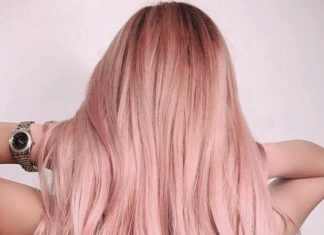 She looks very soft and elegant with these ombre waves.